Due to ongoing budgetary constraints, the Commission in 2012 has had to forego its past practices of scheduling half of its annual meetings outside of Sacramento and conducting certain meetings at locations where great public interest exists regarding an item on the agenda. In response to the significant interest expressed by a large number of the public regarding item #104 on the August 14th agenda (consideration of an EIR and application by Pacific Gas & Electric Company’s to conduct a three-dimensional geophysical survey off the San Luis Obispo County coast), the Chair of the Commission, State Controller John Chiang, has directed that an additional opportunity be made available in San Luis Obispo County for the public to observe and testify during the meeting. The Commission meeting will also be webcast on http://www.Cal-Span.Org. This message is brought to you by San Luis Obispo COASTKEEPER®, a program of Environment in the Public Interest, is the only grassroots environmental watchdog dedicated solely to enforcement of water quality on and watershed protection in, southern Monterey, San Luis Obispo, and northern Santa Barbara Counties. This part of the central coast often referred to as California’s “Middle Kingdom,” contains some of the most spectacular coastline, wild areas, streams and wetlands in the world. Our mission is to protect this special place and since 2002 SLO Coastkeeper has been a consistent voice for environmental change taking the necessary action to protect the coast and waterways throughout the region. Our work has encompassed nearly the entire central coast partnering with neighborhood groups and environmental organizations responding to environmental issues from Santa Cruz to the Santa Ynez River watershed. 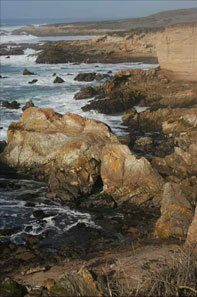 Successful efforts have included serving as the SLO County environmental representative on DFG’s Central Coast Regional Stakeholders Group resulting in the establishment of the Central Coast Network of Marine Protected Areas, as well as protection and improvement of water quality through participation in the Municipal Storm Water Management Permit process and current proceedings to set Agricultural Waste Discharge Requirements on the Central Coast region.